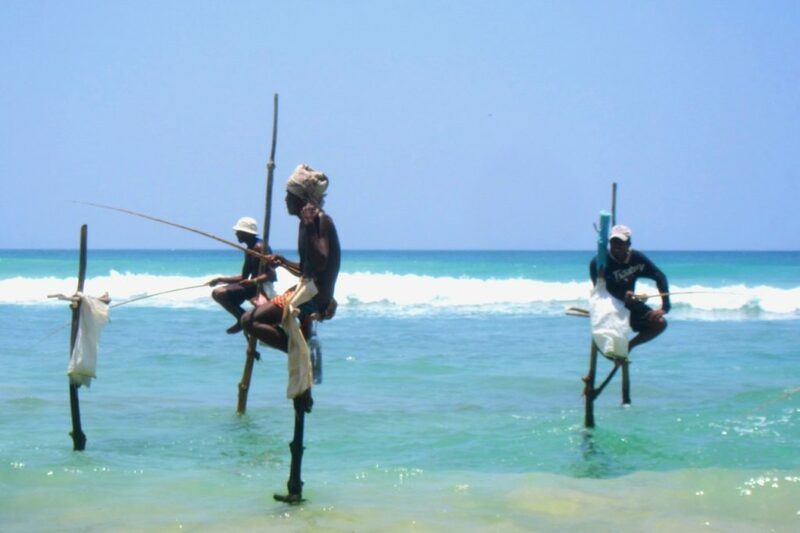 THE STILT FISHERMEN are a symbol of Sri Lanka, and you have probably seen some amazing photos of them. 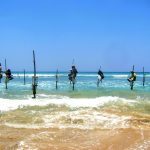 Stilt fishing is a traditional fishing methods of Sri Lanka. This mode of fishing was widely used all along the coast until the tsunami in 2004. 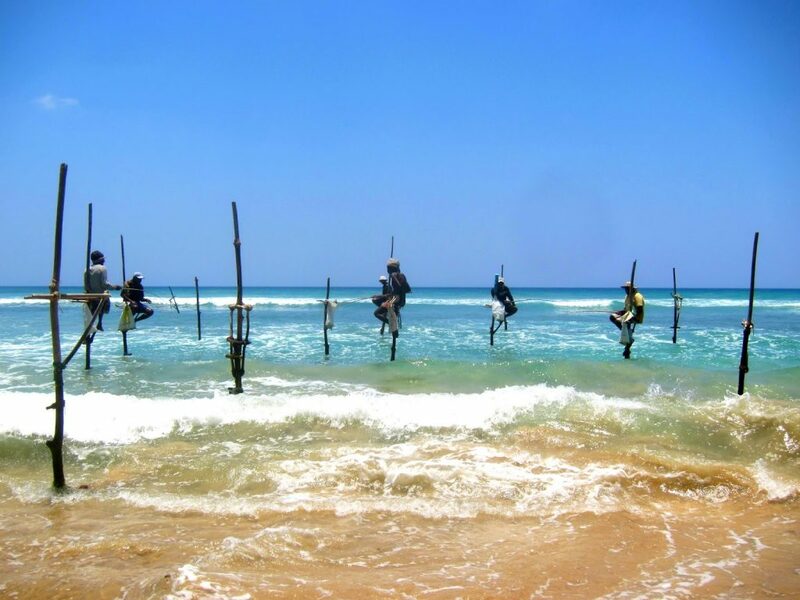 Still you can sight the fishermen sitting balanced on thin sticks out in the water at a few places along the south coast. Some of them are there “for the show”. 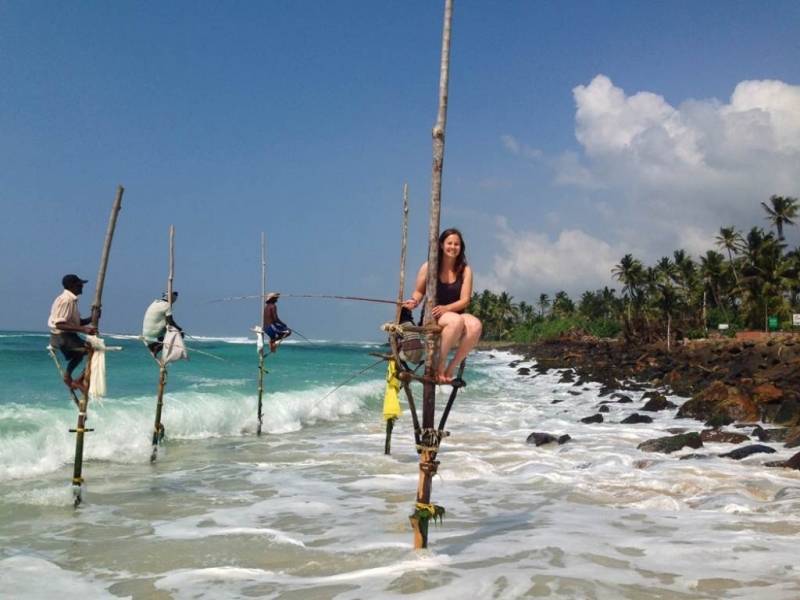 Just to show you the traditional way of fishing, and earn some rupees from tourist taking photos. Some fishermen are still fishing this way, but they are getting fewer. Of course there is easier to make a days living with more sophisticated fishing tools available today.